No Privacy Settings? 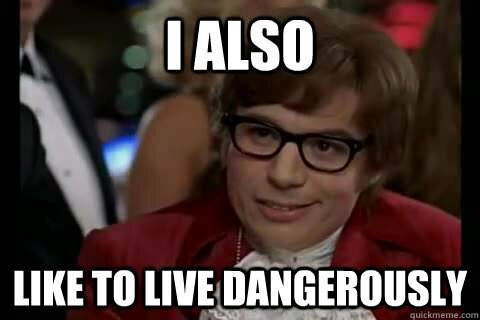 I also like to live dangerously. It’s no surprise that social media has been ‘trending’ in recent years. As technology grows and becomes more accessible, it becomes easier for people to connect with one another. Facebook has become a place to share pictures, plan events and stay in the loop when it comes to friends and family. The new kid on the block, Twitter, allows users to share short and concise thoughts and ideas. But just how much of ourselves are we willing to put out there on social media? Need we be concerned? A recent article in the Globe and Mail offers insight in the shift from Facebook to Twitter. Teens sharing more on social media, moving to Twitter As more parents and relatives inhabit social media, it appears the less likely teens are to stick around. Yet the teens who are unwilling to connect with this new wave of adults on Facebook are the same teens who will just as easily divulge personal information including contact numbers, location and photos with potential strangers on Facebook. Amanda Lenhart, from the Pew Research center, offers some insight into the advantages of a switch to Twitter, “The key is that there are fewer adults, fewer parents and just simply less complexity and less drama”. Lenhart, who is one of the authors from the research study acknowledges that the teens don’t leave Facebook altogether they just tend to post less frequently. 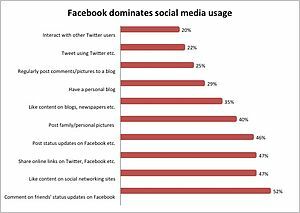 The study found that 94% of all people on social media have a Facebook account. This shows not only what a social media giant Facebook is but also makes us aware of all the people who may have private information posted. The same study revealed that greater than 60% of teen Twitter users have public tweets, making them potentially vulnerable to enemies or strangers. Whenever utilizing the benefits of social media, it is important to know not only what you are posting, but who will see it. For example, if your privacy settings are public, friend or foe is able to see everything that you post (yes that means the aforementioned contact information, locations and pictures). We often hear in the media about people losing their jobs over something they posted on their Facebook page, or how a student was suspended from school for defaming a teacher on Twitter. Many employers now screen the social media pages of potential hires to try and get a better grasp on who they may be hiring. Often times many people are unaffected by public privacy settings and not everyone will encounter social media trouble, but it is an obvious risk of using social media. It’s all about how you use it, and I believe more and more users are becoming savvy about what to post and what not to post. Don’t get me wrong, there are many great uses for social media (Twitter and Facebook alike). Social media allows you to be connected with family and friends, reminisce about ‘that one time at band camp’, and the pictures to go along with it. This entry was posted in Uncategorized on May 30, 2013 by shawnbell4.